[December, 2012] I found this dram in an advents calendar sampled by MaRa. In my old rating system (ten scales that translate into WB points: 50 - 66 - 75 - 80 - 82,5 - 85 - 87,5 - 90 - 92,5 - 95) I scored it 87,5. I took no detailed notes. Ben Nevis can be really quirky. This one isn't. 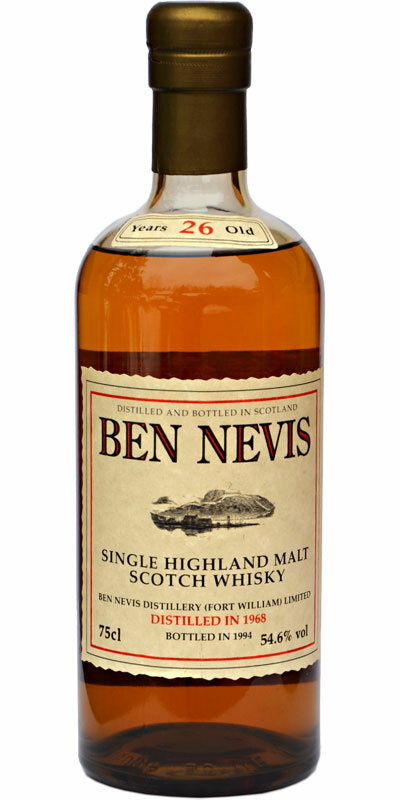 It's a very delightful Ben Nevis. Sweet and fresh maltiness. Herbal notes. Tropical fruit. Marzipan. Very nice. Waxy and oily. Ginger and liquorice. Little candy sweets. Nougat. A little pepper at the end.